52 Mantels: Easy Paint Touch-Ups + Color-Glide Pro Giveaway! Easy Paint Touch-Ups + Color-Glide Pro Giveaway! 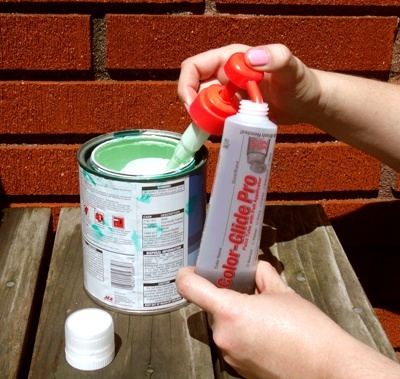 I've got a fun, new product to tell you about today: Color-Glide Pro, an easy-to-use paint applicator. When I get product review requests, I only say yes if it's a product I really want to try and I think you'd be interested in reading about, too. When I read the concept of this product, I knew I wanted to test it out for myself. I'm so glad I did! This is such a great convenience product. Here's the scoop: you store your wall paint (and in my case, kitchen cabinet paint) in one of the felt-tipped applicators. 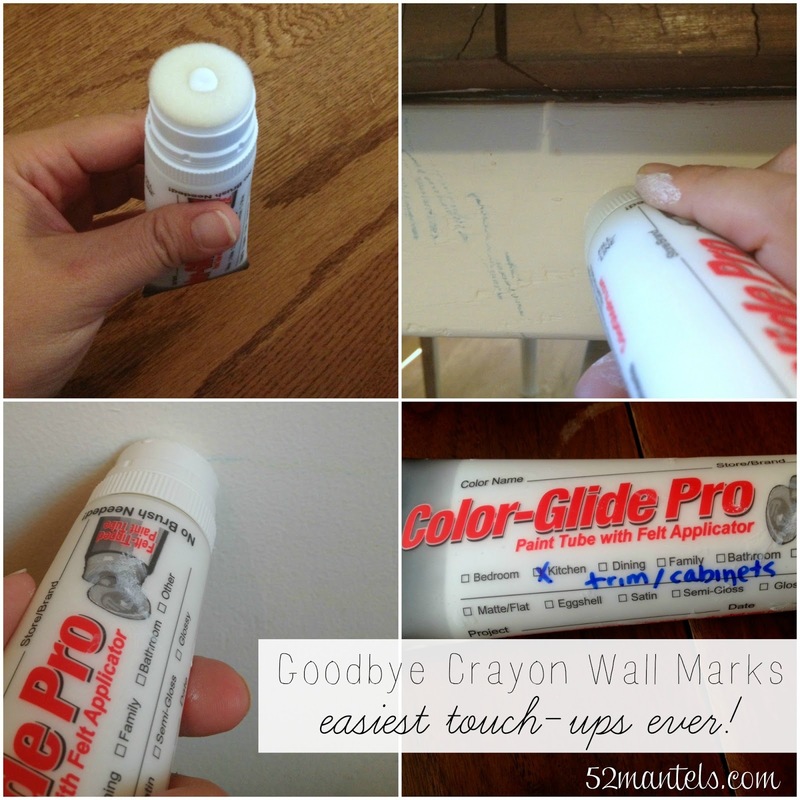 Then, when you need to do a quick touch-up (*ahem*someone colored on the wall*ahem), you grab the applicator, give it a shake and touch up the area. No brush needed. How convenient is that?? Any ideas how many times I've dragged my huge can of wall paint into the house to touch-up one, tiny area? Yeah, that's a beat-down. No longer, friends. You can get the Color-Glide Pro on Amazon or through their website. And, if the idea of buying in person at Walmart appeals to you, go vote for them in Walmart's Get on the Shelf contest. 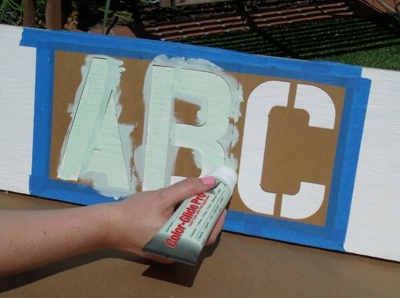 Other uses of this product: stenciling (you know I like to stencil stuff! ), creating perfect polka-dots, easy kid's painting crafts....and, the list goes on! 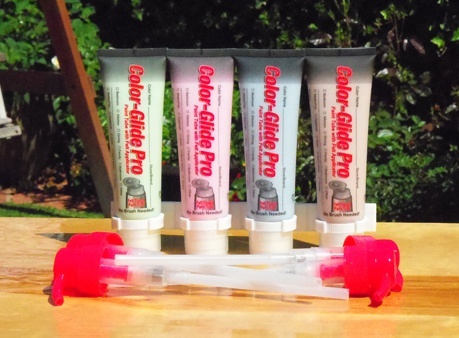 SO...how would YOU like to win a Color-Glide Pro 4-pack?? I thought you might! Enter using the rafflecopter below. No brushes to clean - sounds perfect to me. Genius!! We have so many touch-up spots in my house where the walls and doors got scratched while we were getting new furniture this summer and moving all our old furniture out for my daughter's apartment. I've been dreading getting out the different paints to touch-up the walls and doors. This product would be perfect!! Thanks for trying this product! Thanks for the giveaway!! Wow...no brush to clean up. Awesome. Neat gadget! I love that you don't need a brush, therefore you don't have to clean a brush! Also love the idea that it stores well for a little while! Great giveaway! How cool is this!!!! Must have one as we are remodeling our home! Thanks!!! Wow, those look fantastic. I have so many touch ups that I need to do but I keep putting off because it's such a pain getting everything out to do it. These would make it so much easier. I also want to stencil a wall in my bedroom. I think these would be great to use for that, too. Thanks for the chance to win a set. ahhhh ... that is awesome! SO convenient. i hate dragging that giant paint bucket out of the garage every time i need to touch up. love it! 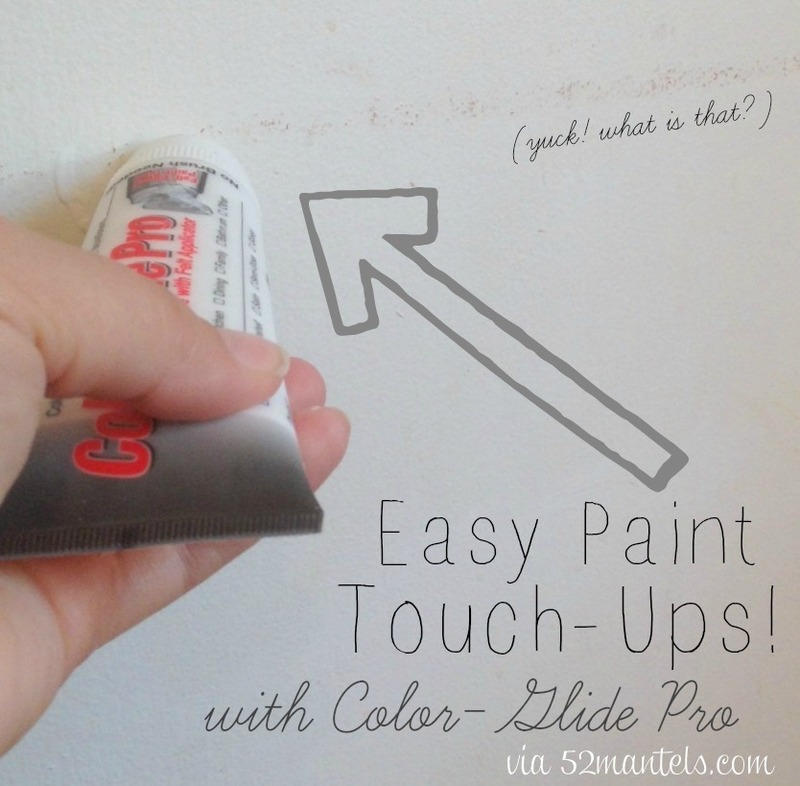 It’s so easy to use, you just squeeze out a little paint and touch up the area... gosh we have so many areas that needed to be touch up from those little hands' prints. Thanks for the chance. Looks super easy to use, reusable,and No Brushes! These look great. I would use them for the convenience and no brushes!